Traxxas Monster Jam Maximum Destruction - # 3602T / # 3604T • (Radio Controlled Model Archive) • RCScrapyard. RCScrapyard ► Iconic Vintage Radio Controlled (RC) Model Car Archive ► Traxxas Monster Jam Maximum Destruction 1/10. 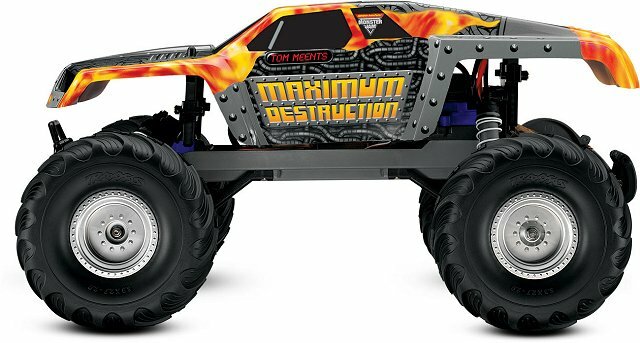 Introduced by Traxxas in 2011, the 2WD Maximum Destruction Monster Truck - # 3602T - came fully assembled, RTR, with TQ AM radio system, XL-5 ESC and Officially Licensed Monster Jam replica bodyshell and graphics. 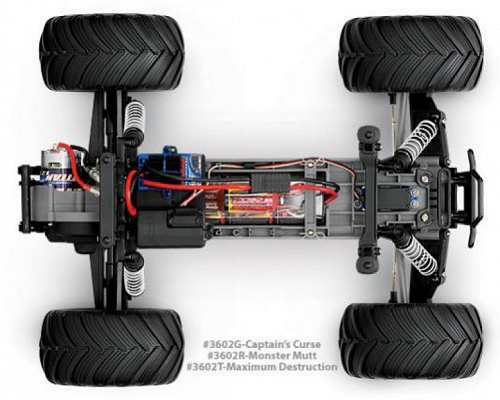 A revised version of the Maximum Destruction - # 3604T - was produced in 2013, with a Titan 12T 550 motor and 2.4Ghz radio system. 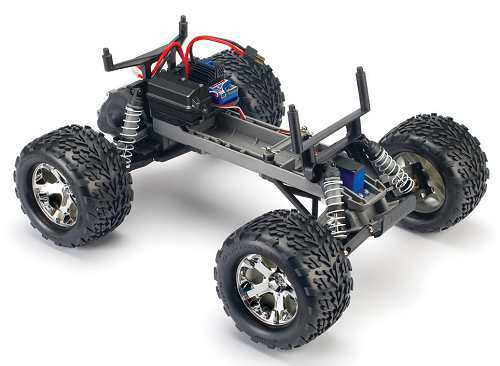 To race the Traxxas Maximum Destruction, it calls for fine tuning to attain better steering response and improve grip when cornering so you don't slide off the side of the track. Minute changes can make huge advancements. Our easy to understand list will show you how and lead you to the optimum Set-up to put you in front of the rest on the track.